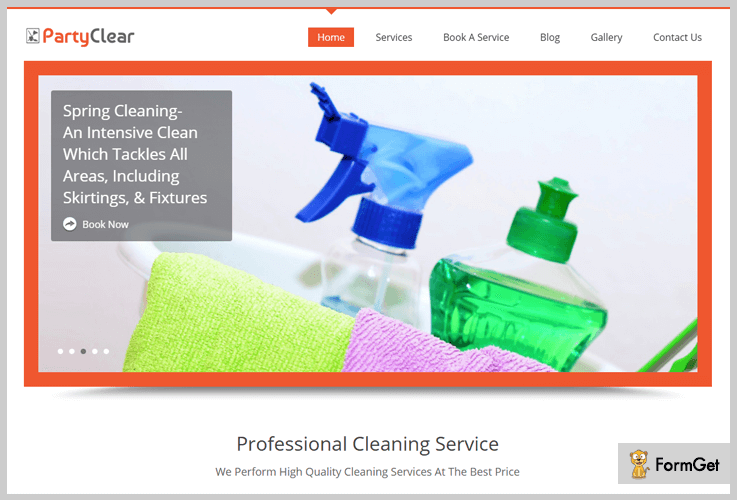 Are you looking for the best cleaning WordPress themes for your professional cleaning company..? Then don’t search anywhere just have a look on these WordPress themes and make your online presence all over the internet. These will display your services like latest cleaning ideas, techniques, using sliders, gallery section and more. In fact, you can feature your services in the service section area & you can update the latest cleaning plans in blog section area. Cleaning WordPress themes has got features like SEO compatibility, retina ready display, responsive to all screen devices, multiple layout options and lot more. Moreover, these are crafted for cleaning service, maid service, and general service companies. To improve your clean business website you can select the one from the 6 listed cleaning WordPress theme. Party cleaning WordPress theme is basically crafted for those who are in the business of cleaning agencies, domestic helpers, housekeeping maids. The theme will represent your services like party cleaning, floor cleaning, apartment cleaning in a feature service area, sliders. The theme has amazing features like appointment form where users can book their appointments for cleaning. Blog section where you can put the tips and ideas regarding cleaning, why cleaning is necessary etc. You can easily buy this party clear WordPress theme and make your website interactive, just by paying $79. The theme has a space for your business tagline or even you can add a heading to it. This template provides you with a ken burn slider to showcase cleaning images with a caption on it. The party clear template has a service section to sparkle your key services. It supports debug mode where your errors can easily be detected while developing a website. Inbuilt gallery pages are present to showcase different kinds of cleaning images. This theme will help your user to know more about the latest electronic appliances for cleaning and how to use them. This theme even helps you to create an e-commerce site for your products as its compatible with the WooCommerce plugin. You can complete your payment method by PayPal integration. This multipurpose template has a price tag of $79, which also provides you with a developer license. The template has testimonial section for your users to share their experience. The blog section is there to share your latest posts, new product details. 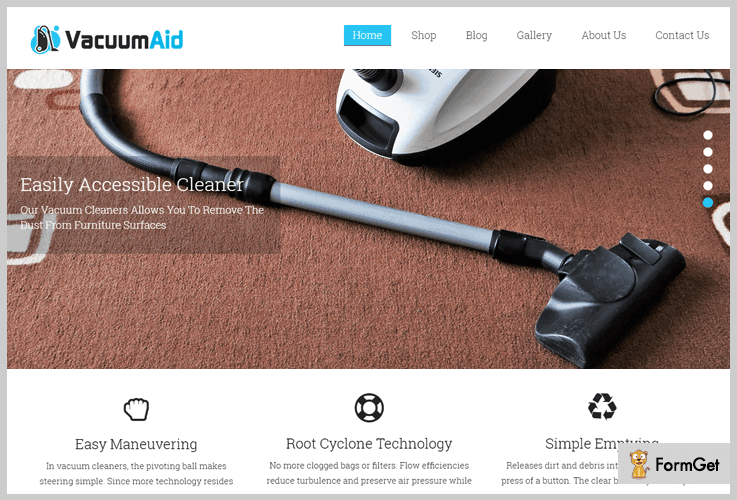 Vaccum aid theme has product section area to display your selling products with there price tag. It also has custom menu panel to add your different kinds of pages like shop, about us etc. You are enriched with a portfolio slider to showcase your service images. It will help you to list your services in a sustainable way with its required description and uses. You can attract your users with an impressive fullwidth slider to display some of your business images on it. Four column feature area will cover all your essential services like house cleaning, carpet cleaning. To apply this template to your website you need to pay $79 if you are not satisfied with the theme then there is a money back guarantee in 30 days. A hexagonal gallery to display images with categories of different products. Since its a one page template, you are even offered with parallax effect in the gallery section. Your site will suit all the screen sizes as this theme is responsive in nature. A fullwidth slider with a business tagline line is provided on the homepage. The template has google map integration on the contact page for your users to easily get in touch with you. 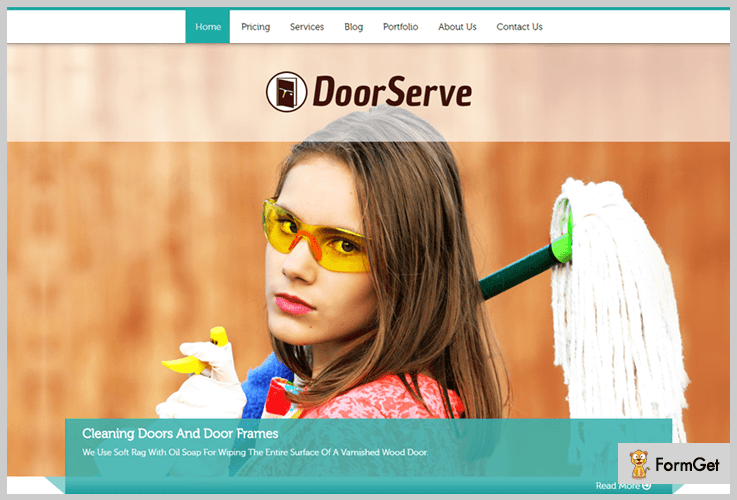 To enhance your businesses like door mopping, housekeeping, maid service more on the internet you need to enable this door serve template on your site. It will help you to serve your users with all the facilities you provide for doors cleaning. An inbuilt lead capture form is there for you to collect contact details of clients for your business and provides them with updates. There is a pricing table to show your different kinds of pricing with discounts and offers. The door serves costs you $79. Moreover, you will be benefited with future updates. A full-width box slider will display some of the important images with a small caption and business tagline on it. A widgetized footer area to show your contact details, gallery, social icons etc. The service area will provide users with door cleaning services like how to maintain a clean door, initial cleaning etc. 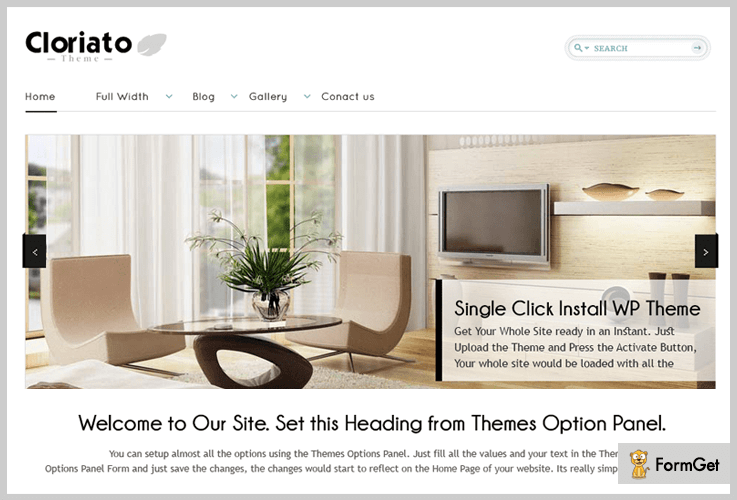 Cloriato is a single click installation theme with an easy setup for your website. All your content will be beautifully displayed on the web with the help of this theme as several theme customization options are present. Like responsiveness, browsers compatibility will surely amaze you. It’s easy to customize the website menu panel. The template has a threaded comments section for your viewers. You can put your services, blogs, ideas in the two column area. The theme has a translation ready factor with the use of plugins. The Compass is a very renowned WordPress theme with around 2000+active users. 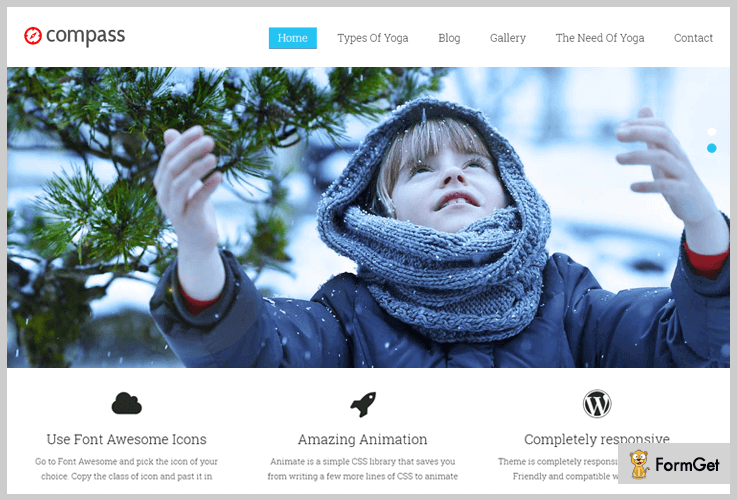 This theme has hover effects with sliders and awesome fab icons for your service area. It has customized features like – custom menu, portfolio section, dummy content to refer and many more. Compass WordPress theme is free for you, with its multiple services like lifetime support, responsiveness. You are provided with service section to display your services and description. Colorway theme has a right sidebar for search option, archives, categories. You can easily customize the menu section by adding different kinds of pages. The blog section is there for you to display tips, ideas, experiences in it. 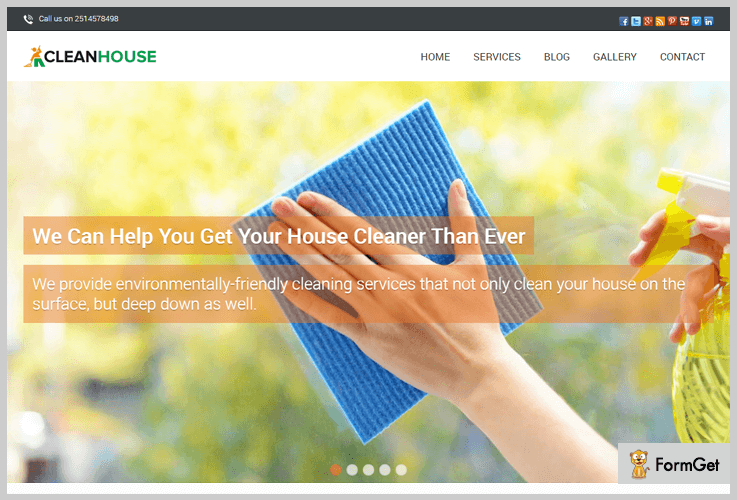 Above we have served you with best cleaning WordPress theme both free and paid for their features. We are pretty sure you will select the one for building your website. Moreover, these are provided you with 30 days money back guarantee, lifetime updates, and more features.